You can step into Adonis's shoes and face Viktor Drago yourself in the free update for Creed: Rise to Glory. One of VR's best experiences is getting its first major update and its quite a doozy. Survios has shared the details for Creed: Rise to Glory's first update, which is free, and it includes content that brings the game closer to the theatrical experience it's based on. The free update for Creed: Rise to Glory launches today, November 27, 2018. Beware if you haven't seen Creed II: SPOILERS AHEAD. It's no secret that Creed faces off against Viktor Drago in Creed II, so it is fitting that Survios is bringing the Russian bruiser to Creed: Rise to Glory. If you've seen the first movie, Danny "Stuntman" Wheeler should ring bells too. Wheeler is played by real-life boxer Andre Ward and he wrecked Creed at the Delphi Gym before taking his car, but Adonis gets a shot at revenge during the events of the movie sequel. Thus, Wheeler is coming into Creed: Rise to Glory alongside Drago in the free update. Creed: Rise to Glory puts players in the gloves of Adonis Creed as he trains with the legendary Rocky Balboa to become a champion in his own right. 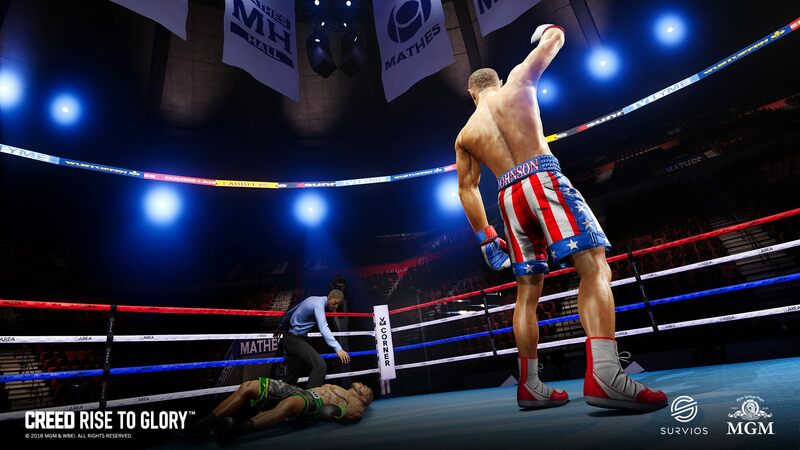 Physically active, immersive gameplay powered by proprietary Phantom Melee Technology brings a new level of uniquely cinematic intensity to the boxing-game genre, whether facing off against the game’s opponents in Career or Freeplay mode or getting personal in PvP. Creed: Rise to Glory is available right now at a discount in one of the PlayStation VR bundle packs. It's also available for Oculus Rift and HTC Vive. 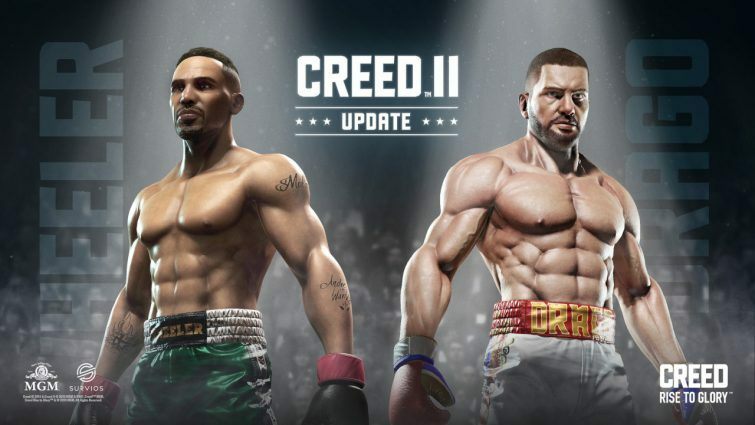 The Creed II-themed free update is available today. Stay tuned to Shacknews for additional updates.